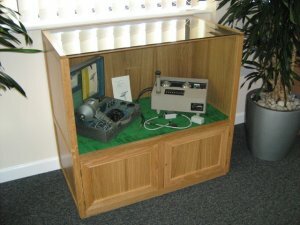 Quality Display Cases and Cabinets for home, business, museums, exhibitions and church. 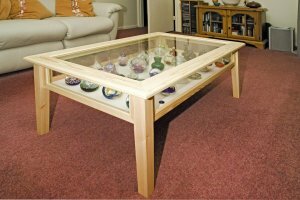 All woodwork hand crafted and polished to create a beautiful piece of furniture. We are a small family concern with a background in product design and manufacture. 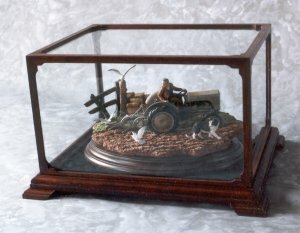 Over many years our business has offered a personal service to clients who require cases and cabinets of exceptional quality for the presentation and protection of their collectables, objet d'art, business products, etc..
Our cabinets and cases are constructed using only the very best seasoned hardwood. Every part is hand crafted and finished in our workshops. The wooden components are designed to create mouldings and panels which accentuate the beauty of natural timber without resorting to artificial colouring. All woodwork is hand polished to create a truly splendid piece of furniture which will look elegant in any domestic or business environment. 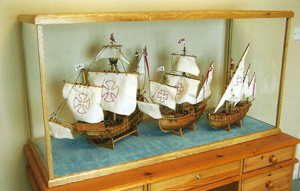 We pride ourselves in making furniture that will give you many years of pleasure displaying and protecting your most treasured items. 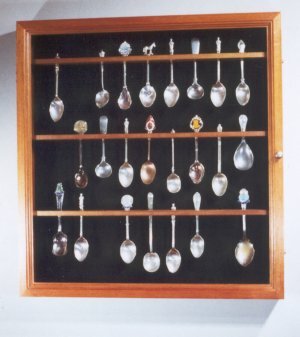 Whether it is a valued doll you would like to display, your treasured collection of silver you wish to protect and exhibit, or your business products that require presentation, simply complete our quotation form or contact us by telephone, fax or email. But don't just take it from us - read what our customers say. HRH. 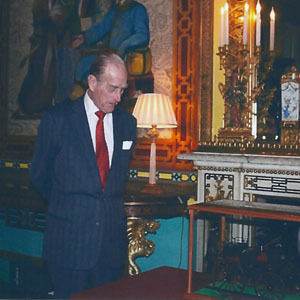 The Duke of Edinburgh at Buckingham Palace viewing the display case we made for him to exhibit a model of his driving carriage.